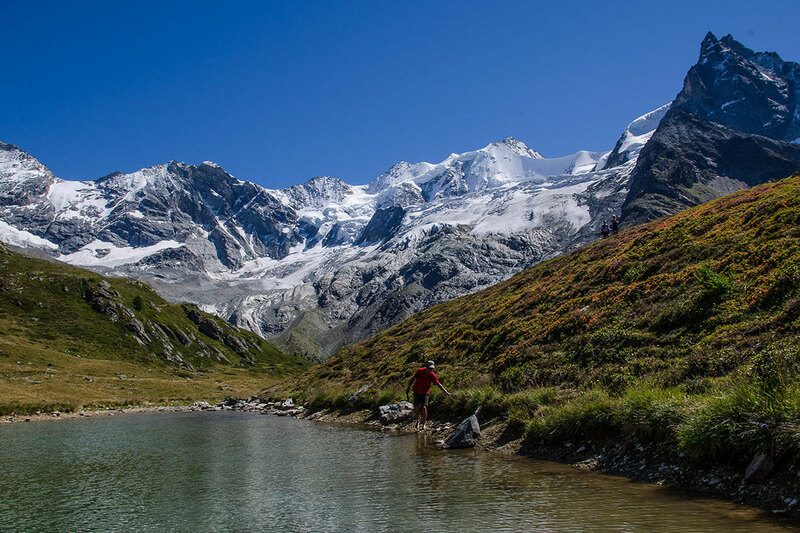 The Val d’Anniviers is a true hikers’ paradise with over 490 km of marked paths. Unspoilt nature, authentic villages like Grimentz, Zinal, St-Luc and Vercorin and unique panoramas stretching across the Alps including the Matterhorn, Weisshorn, Zinalrothorn, the Dent Blanche and even as far as the Mont Blanc. Some of the mighty 3000-meter peaks are easily accessible from St-Luc: the Bella Tola and the Touno. The Val d’Anniviers is at the heart of the Mountaineers’ Route linking Chamonix and Zermatt, between the Val d’Hérens and the Val de Turtmann. Original huts like Tracuit and Moiry are accessible with plunging views onto the glacier bearing the same name. 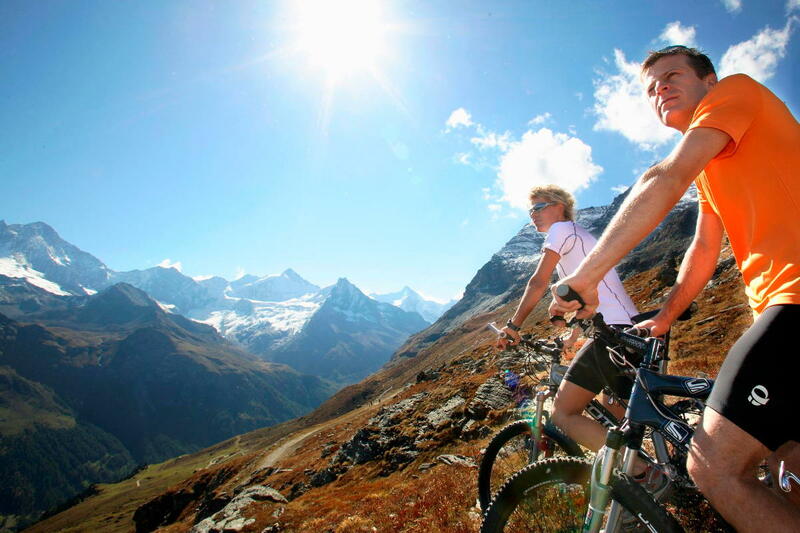 Claude disappear regularly on his Mountainbike and will give you with pleasure some advice on the nicest tracks.. 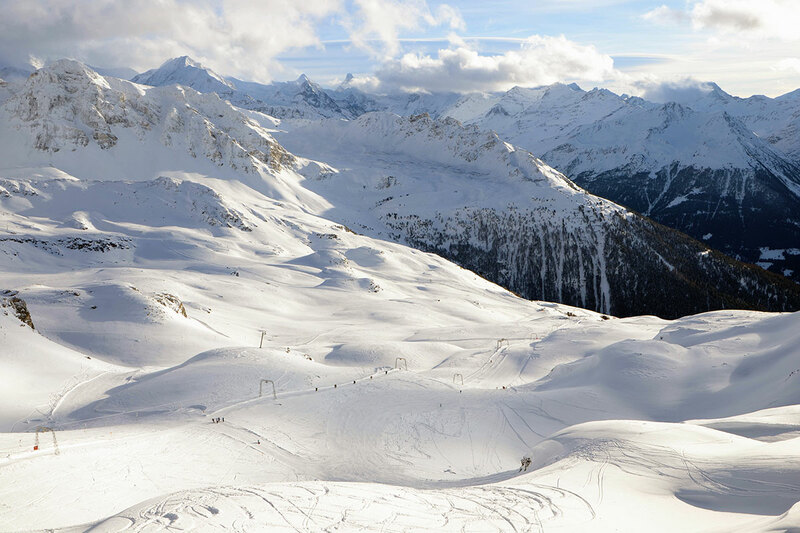 The ski resort of St-Luc-Chandolin offers 75km of slopes, 12 ski lifts with a spectacular view . Most of the trails are located between 2000m and 3000m, guaranteed snow and the top of the 3000m Bella Tola offers a unique 360° view over the Alps: the Matterhorn, Weisshorn , Zinalrothorn , Dent Blanche and even the Mont Blanc.